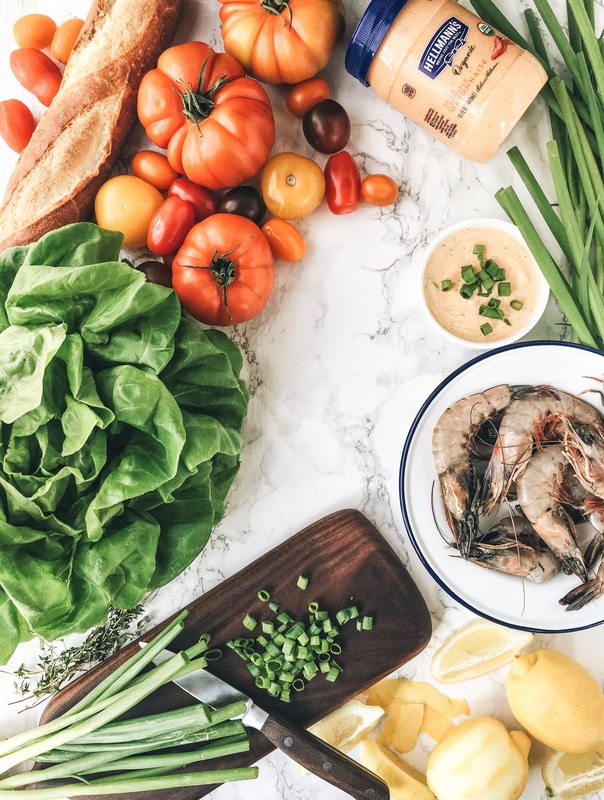 Summer is upon us and that means an abundance of fresh local produce and meals that are not too complicated. Gulf shrimp is in season and my beautiful organic heirloom tomato plants have not yet died! In celebration of all these things, here’s my version of a quick and easy dish that is close to our hearts as Southerners. 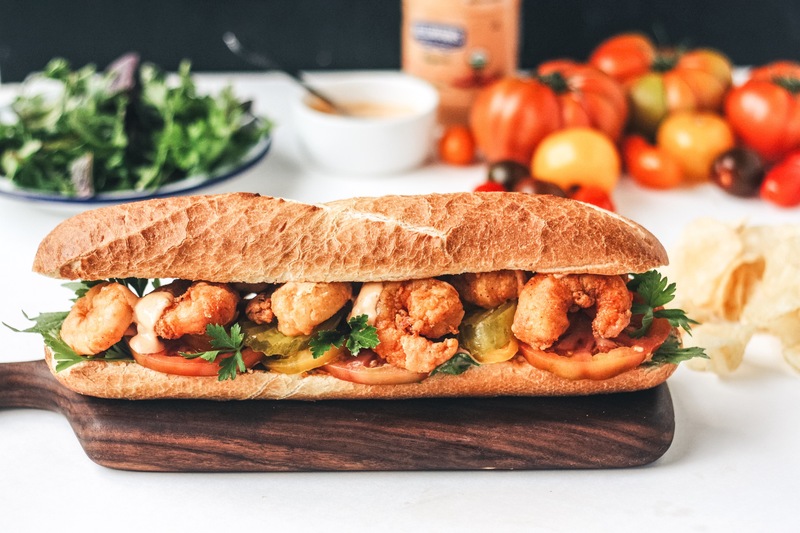 Some call it a Po’boy and others prefer a Poor Boy. I say it doesn’t matter as long as it’s delicious. I’ve partnered with Hellmann’s and FeedFeed to bring you this amazing new recipe! 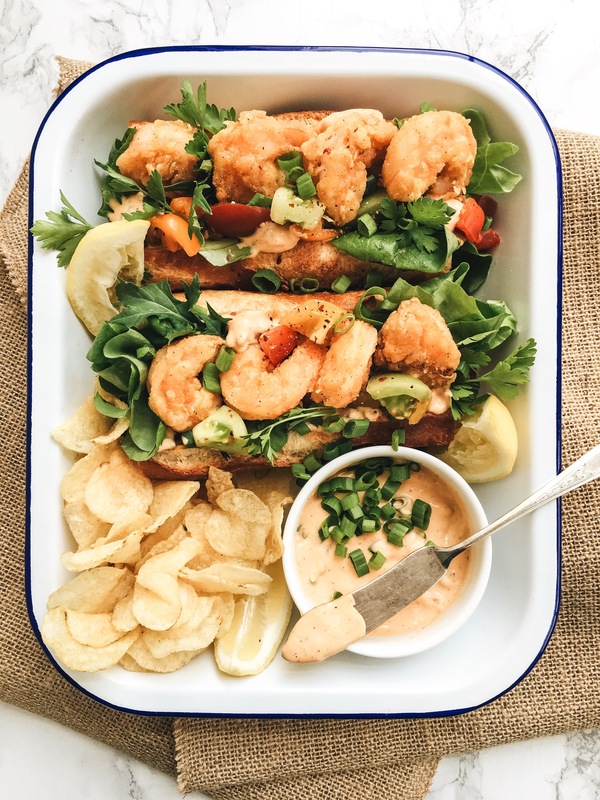 The crispy shrimp and sun-ripened tomatoes in this sandwich becomes even tastier by adding new Hellmann’s Organic Spicy Chipotle Mayonnaise instead of regular to make a zesty remoulade sauce. Being able to switch out our favorite Hellmann’s Mayo with a great organic version makes me feel like I’m growing in the right direction :) While we used the Spicy Chipotle variety, it also comes in Original and Roasted Garlic! Recipe by Dale Gray: Makes 2-4 sandwiches. To make the remoulade, whisk all ingredients in a small bowl and refrigerate until ready to assemble sandwiches. Coconut or olive oil for frying. Use a heavy-bottomed pot and heat oil (3-4 inches deep) to 350F. Start underneath to easily remove the shell and devein by making a shallow cut down the middle. Remove any impurities and rinse. Combine remaining ingredients in a medium bowl. Dredge shrimp in flour mixture. Fry in batches for 1 1/2 minutes on each side or until just golden in color. Remove with a slotted spoon and drain on a wire rack over some paper towel. Roughly dice tomatoes into 1” cubes. Add red pepper and herbs, mix gently. 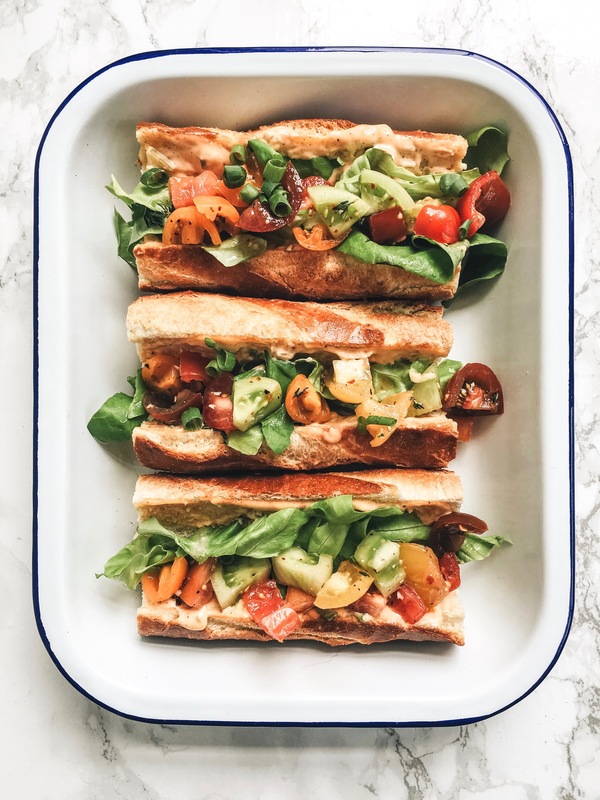 To assemble your sandwich, simply spread remoulade on each side of your bread. Add lettuce, tomatoes and shrimp.